It was yet another hot middle of the day NWSL match at BBVA Compass Stadium as Houston Dash fell to a 2-0 loss to Seattle Reign on Saturday afternoon. Dash fans were left frustrated as their side hit the post three times but just could not put the ball in the back of the net. Seattle managed to capitalize well on the chances that came their way, giving Dash a frustrating season. San Antonio FC has remained the only undefeated side in North America as they managed a 1-0 win over Swope Park Rangers, their first against the club, in Kansas City on Friday night. The goal came in the 53rd minute with Kris Tyrpak managing another assist for the season as he played in the cross. Tyrpak’s cross went to the far post finding midfielder Mark O’Ojong who scored his first goal for the club with a strong header. Houston Dynamo and FC Dallas have come together for some friendly competition all in the name of charity as the two teams are holding auctions ahead of the Texas Derby and the team that raises the most will gain $1000 for their team charity from the opposing team. The two teams will be using the DASH Auction App with the auctions starting on Friday at noon and running through to the 80th minute of the match on Sunday. The two teams have created their own collection of items for fans to bid on and all the proceeds will also go to the respective charity. Houston Dynamo have several autographed items, with a jersey signed by the whole team, an Alberth Elis signed game worn jersey and Tyler Deric signed gloves. There will also be a unique experience up for the bidding with a fan able to bid on a Starting 11 experience, the winner watching warmups from the pitch and taking part in the pre-match photo as if they were part of the starting 11. FC Dallas are not being outdone, also giving out the same starting 11 experience for a fan and an autographed jersey. FC Dallas will also be giving away a signed ball, an his and hers package with two shirts, cups, and bags, the other unique item will be a ball used in the derby. While the competition on the pitch will be fierce, both teams will no doubt be hoping that the fans come together and bid on these items to raise lots of money for their soccer charities. 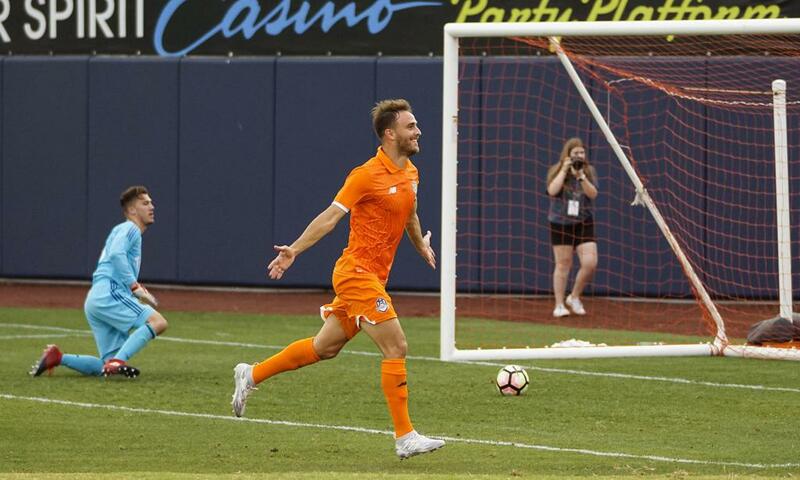 Swope Park lost 1-0 to RGV FC in the first match where they failed to score all 2017, a record longer than San Antonio. Swope Park started the match well, but conceded in the 18th minute after a sweet back heel from Eric Bird. After that goal Swope Park Rangers really were the stronger side but they just couldn’t break through with a packed defense from RGV FC keeping them at bay effectively. Statistical Note: San Antonio FC has never defeated Swope Park Rangers, Swope Park Rangers have never been caught offside by San Antonio FC. Key to the Match: Squad rotation. Swope Park Rangers do not have the burden of a US Open Cup match coming up and as such they can play a full strength squad. San Antonio FC do have a busy schedule coming up and as such they need to start thinking about resting people in the coming matches, this is a tough decision for Darren Powell. Houston Dash suffered a heart breaking loss on Saturday afternoon as they fell to Sky Blue FC in New Jersey on Saturday afternoon thanks to a late goal giving Sky Blue the 2-1 win. The winning goal came five minutes from time as Houston Dash failed to clear the ball from a free-kick conceded by Cami Privett. The ball was pumped in to the box and after a fight for the ball Sky Blue midfielder Raquel Rodriguez was able to poke it past Lydia Williams in the Dash goal. 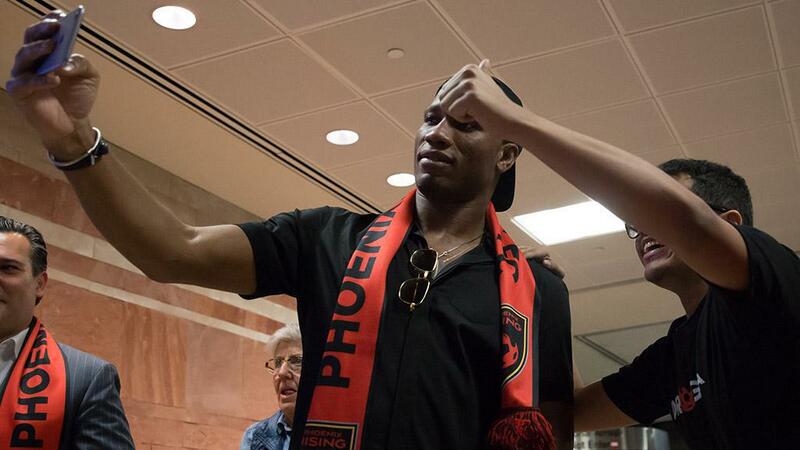 Didier Drogba may not have made an appearance but San Antonio FC certainly showed up as they defeated Phoenix Rising 1-0 at Toyota Field on Saturday night. By winning the match San Antonio FC set a new San Antonio pro-soccer undefeated streak record of 10 league matches and 11 in all competitions. Phoenix did what was expected of them, easily accounting for the amateur club, Fresno Fuego, but they did have to work hard to get the match going in the first half. The first goal didn’t come until the 33rd minute, coming from a corner. Just one minute later they made it two, as they started to show their professionalism. 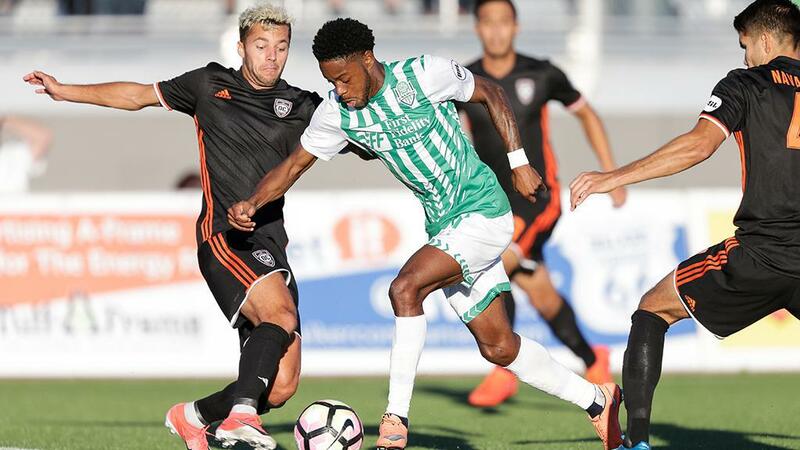 They scored one more in the second half, and in the 59th minute Fresno pulled a goal back, but that woke up Phoenix who showed their professionalism to close out the match. Statistical Note: Should San Antonio FC not lose this match they will set a new San Antonio pro soccer record for a league undefeated streak with 10. They will also set the record for most undefeated matches in all play, having equaled the 10 matches undefeated by the 2012 San Antonio Scorpions which was eight league matches and two US Open Cup matches. Key to the Match: The pitch. It was an absolute disaster last week, and it is doubtful that the pitch could have recovered at all in the last week. That means that San Antonio FC has to change their style of play, and be more direct. Playing the ball on the ground constantly has not worked out for San Antonio FC in the last two matches, especially against Seattle. Hopefully the pitch will improve quickly as the style required to do well in those conditions is not going to be the most entertaining for the fans.